Physio Logic Ltd provides a range of medical products on site which the practitioners feel are of particular benefit for easing pain, aiding recovery, and for preventative measures, in certain types of injuries. 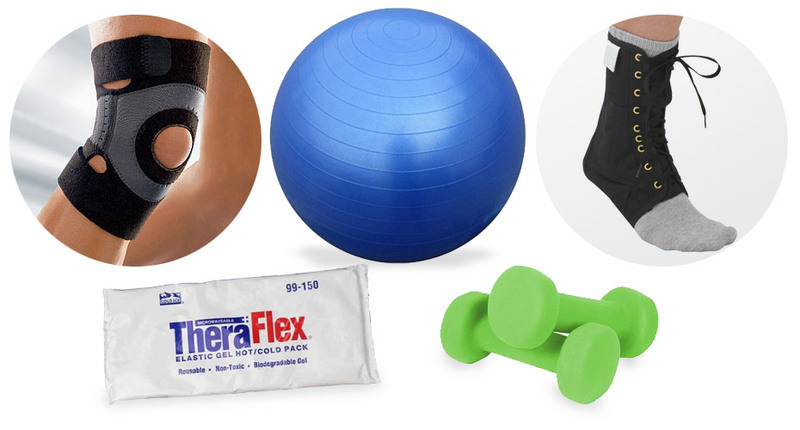 We supply products such as lumbar rolls, elbow, knee and ankle supports, balance balls, wobble boards, weights, wheat heat packs, hot/cold packs, sports tape, tens machines and neck pillows. These are just a number of items available. Physio Logic Ltd provides an advisory service to help you find the product best suited to your needs. We are happy to order any item on request not held in stock but where available from our suppliers. Should you require any advice regarding a medical product please contact the Physio Logic reception.